Stylishly durable protection for your collection. 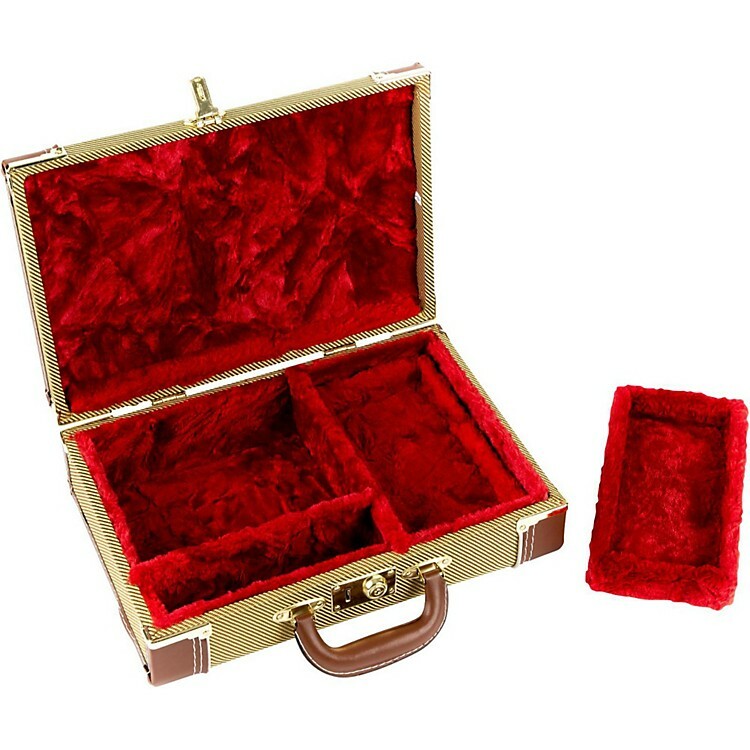 Carry your diatonic harmonica collection in style with this stylish case that includes room for all your accessories—including a microphone. a locking latch keeps your gear safely where it belongs while you’re on set breaks or during transportation. The durable exterior and soft plush interior, replicate the look of fender instrument cases. two removable trays make it easy to organize your accessories while the removable divider splits the large compartment for increased protection and organization. Includes two keys; also ideal for holding and organizing instrument tools. Show up at the jam with the right case. Order today.